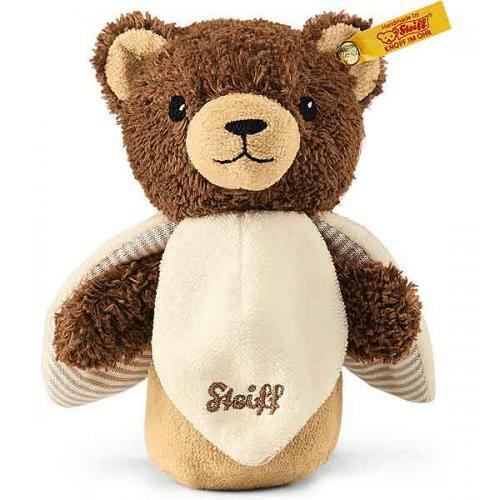 Steiff Basti Bear Rustling Grip Toy, made of beautiful soft brown and beige organic cotton for a baby's delicate skin. This addorable Basti Bear grip toy has rustling foil filling and has embroidered safety eyes and is machine washable. 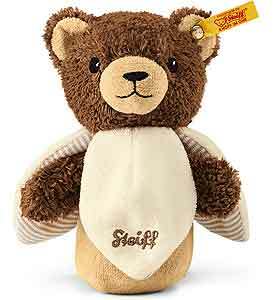 The textiles are tested for no harmful chemicals and Steiff have listed the size as 13cm.